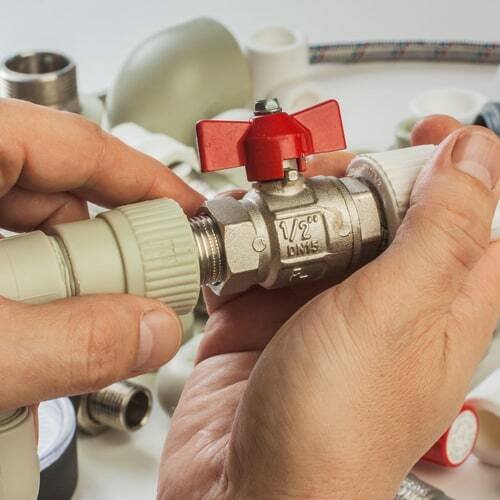 See Why San Diego Homeowners Trust Morey For The Best In Plumbing & Air Conditioning Service! At Morey Plumbing, Heating & Cooling, Inc. we are committed to excellence. Our upfront pricing and quality service are just two of a multitude of reasons why our customers love working with us. As a family owned and operated business, we have successfully helped other families maximize the efficiency of their plumbing and HVAC systems over the 18 years that we have had our doors open. We believe in transparency all throughout the service process in order to provide you with exceptional quality. With one job price and no hidden extras, we strive for 100% customer satisfaction. When you need expertise in plumbing, heating or cooling, we are the premier company to call in San Diego. Our services range from installation to maintenance and repair, and if you believe there is something we can help you with that isn’t listed on our website, simply inquire by giving us a call or scheduling an inspection online. We even offer 24 hour emergency service. Since our company is BBB accredited, we are a reputable service provider that you can trust. You may not realize it, but your home plumbing system accounts for about 15 percent of your total home value. That’s an investment worth paying more attention to so you can pay less in the ways that count. 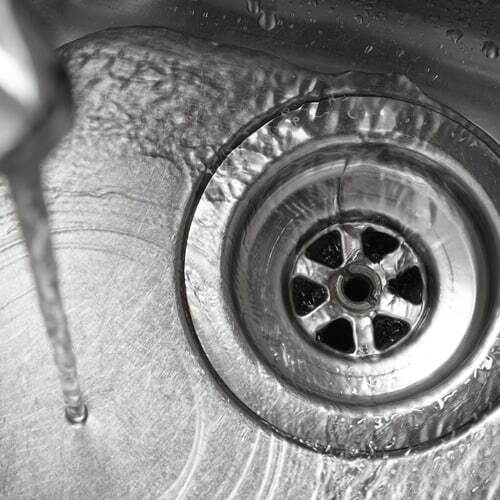 Water-saving devices can increase the efficiency of your water, while also decreasing the cost of your home’s energy. Fun fact: On average, homeowners in the United States spend about $2200 annually on energy bills, and nearly half of that figure is spent on heating and cooling. This cost can be cut drastically with smart and energy efficient appliances. 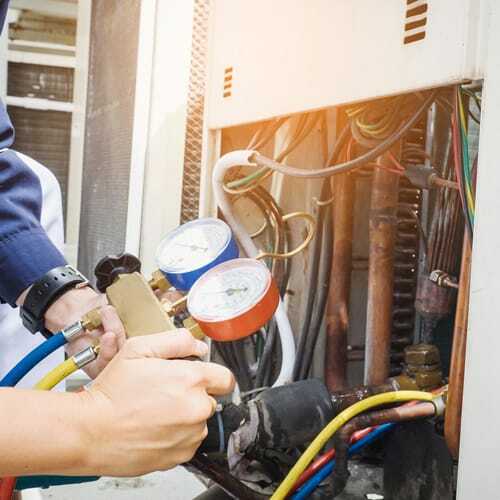 One thing is for sure: If your heating and cooling system is not controlling the temperature of your home effectively and at a reasonable cost, then it is probably time for you to replace it. There are many different options for heating and cooling systems, and we address them directly below. Easily one of the most common options for household heating, furnaces heat air and distribute it by way of ducts. They typically run on gas, oil, propane or electricity. If a furnace has an Energy Star rating, it has a higher Annual Fuel Utilization (AFUE) rating, too, which is ideal. Another common way to heat a home, boilers can heat air through a coil, and they can also heat water and distribute it either as steam through pipes or as hot water through radiant floor systems or baseboard radiators. While steam boilers are typically less energy efficient than hot water boilers, either one may have Energy Star ratings, or a higher AFUE rating. Heat pumps provide both heating and cooling, making it quite different from other heating mechanisms on the list. There are two versions of heat pumps: electric air-source heat pumps (ASHPs) and geothermal heat pumps (GHPs). ASHPs cool and heat by using the difference in temperature between the indoor and outdoor air. On the other hand, GHPs use the ground instead of the air, and are by far and large one of the most efficient and effective systems on the market. This means they’ll be more expensive upfront, but the money it will save you in the long run is worth the initial expense. Although not typically used as the primary source of heating in a home, active solar heating harness the power of the sun to heat either liquid or air, and makes for a great secondary heating system. If electricity is the only option you have to heat your home, be prepared to invest a substantial amount of money to use electric resistant heating; this is one of the most expensive ways to generate heat. However, a heat pump is a viable and preferable choice for most people who face this dilemma. This option uses biomass or waste to heat your home. Be wary: wood and pellet burning could potentially emit air pollutants, so it is in your best interest to choose a system that is certified by the Environmental Protection Agency (EPA). Radiator systems deliver heat without the use of ducts. There are two different types of radiators: steam and hot water, where steam is a very old technology, and hot water systems are commonly used in newer homes. This option is more efficient than using baseboard or force-air heating. Essentially, radiant heating transfers heat via panels that are on the floor, wall, or ceiling. Although they are not anywhere near as efficient as central heating, portable heaters can at least help you save money when they are used appropriately. Natural ventilation, like opening up the windows in your home, and using fans can certainly impact the cooling feel inside your home. However, these systems are best suited for the room they are located in, not for the entire house. For something that will take care of the house in its entirety, using a larger system – like an air conditioning system – will usually be the most conducive solution. Using air conditioning in the home is a very common practice, and there are two practical systems that you can use: either central air conditioning or single air conditioners. Central air conditioning can be changed with one thermostat; however, a single air conditioner is not only likely located in each room of the house, but it has to be manually changed to whatever temperature you deem suitable. Air conditioning systems with Energy Star ratings, or higher SEER and EER ratings are easy to locate and particularly lucrative in the long run. Also known as swamp cooling, evaporative cooling is very similar to air conditioning. The main difference is that evaporative cooling is much more energy efficient. This method of cooling is particularly utilized in dry climates. Generally, radiant cooling is only used in certain arid climates, and not unlike radiant heating, radiant cooling absorbs heat through floor or ceiling panels. Your home should be the most relaxing place in the world. An ideal home environment for you would probably mean it would be cool in the summer and warm in the winter so you and your family can rest easy. You also want clean, hot water when you need it in order to promote maximum health and comfort. These goals are readily attainable when your home plumbing, HVAC system and appliances are properly functioning and maintained. That’s why Morey Plumbing, Heating and Cooling, Inc. provides all the plumbing, heating and air conditioning services you need to stay healthy and happy at home in San Diego, California. Call (858) 505-4500 today. We strongly encourage you to shop around for a few different quotes for your installation, maintenance or repair project. We know our pricing is competitive and that we have the staff and tools to successfully complete whatever task you put in front of us, so we’re confident in what we deliver and at what cost. At Morey Plumbing, Cooling & Heating, Inc., we happily offer you free consultations and free estimates with no obligations so you know exactly what to expect and what the costs incurred are upfront if you choose to proceed. There are no hidden fees once we finish, and we even offer warranties on all of our work and equipment for up to 10 years: We’re that confident in our performance and the quality of our workmanship. We understand that you could let anyone into your home to complete the task you have at hand. We just want you to be aware that we value you as a customer and the opportunity you give us to service your home, which warrants a 10-year guarantee on our behalf. All of our plumbers and HVAC specialists know that your equipment are an investment. That’s why we offer annual maintenance programs to protect your investments. These maintenance programs will ensure that your systems are running at peak performance all year long. Call us today at (858) 505-4500 about which maintenance services we offer and schedule your first appointment. Whatever your plumbing, heating or cooling needs, know that we have specialists on hand that are ready to assist. Our technicians are ready to resolve any problem that you have in regards to installation, maintenance and repair. We’re ready for your inquiries. As far as comments or criticisms are concerned, we love hearing from our customers. If you have any feedback on how our team handles any part of the service, or if you’d like to express your appreciation or criticisms, we’d love to hear more from you! For general information or if you’d like to ask a question, please use the form on the side panel, or in our contact page. We are here to serve you and all of your plumbing and HVAC service needs. When you call us, you can count on a fast response. Plumbing and HVAC failures can be detrimental to the function of your household. Knowing the possible consequences of these situations, we offer 24-hour emergency service to you for whenever you may need us. Call us day or night if you find yourself in an emergency and need to call for professional help. For any plumbing or HVAC services, get in touch with our experts at Morey Plumbing, Heating and Cooling, Inc. We’re available to all of San Diego County. We are licensed, bonded and insured for your protection. Trust us to restore the maximum comfort of your home today.